If you've ever seen Star Trek, then you know that Spock has the best hair in the galaxy. It's just a fact. 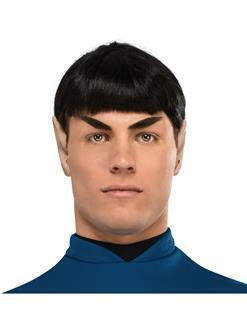 This Halloween, if you're dressing up as this special First Officer yourself, then you need to check out the Star Trek Spock Wig. This special wig will have you looking just as handsome and dapper as the one and only half-human half-Vulcan we all have come to know and love. Buy yours today, and then check our site for the rest of your Spock gear and accessories!